How much can $2 billion transform a region? As this nonprofit organization is finding out, smart capital investments in business, infrastructure and tourist destinations are laying the foundation of a positive future. Tince January 2012, private and public organizations have made a combined $2 billion in capital investments around the Rockford region. Signs of growth are all around us. 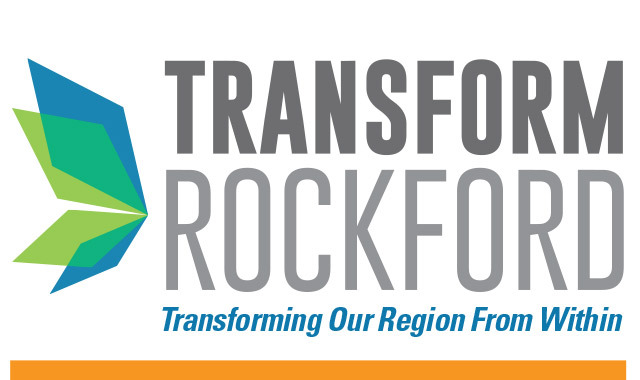 In its effort to create a strategic plan that will make Rockford a Top 25 region by 2025, the nonprofit Transform Rockford is celebrating the signs that this region is on the right path. Since it began in 2013, Transform Rockford has drawn together leaders from business, public, nonprofit and faith sectors to address the city’s deepest issues and celebrate top assets. The research and projects emerging from Transform Rockford’s 14 “spoke” teams have led to new alliances and inspired new solutions to old problems. The resulting conversations have facilitated the things that lead to capital growth and investment. According to Rockford Area Economic Development Council, which monitors regional data, the region’s $2 billion in capital investments has impacted 7.337 million square feet of new or renovated space and helped to reduce the local unemployment rate by 5.1 percentage points. Rockford’s current unemployment rate is 6.1 percent, according to the federal Bureau of Labor Statistics. Major industrial developments over the past five years include Woodward Inc.’s new $200 million production center, the $40 million AAR hangar at Chicago Rockford International Airport, and the introduction of Jeep Cherokee production at the FiatChrysler plant in Belvidere. Smaller and mid-sized firms are also making an impact, with Ceroni Piping Co. opening a $5 million facility in Belvidere, software firm Practice Velocity transforming an old Kohl’s store into a modern office in Machesney Park, Ill., and software firm CLEO upgrading to a new Rockford office. Rockford’s health systems are making big investments, with OSF Saint Anthony Medical center introducing an $85 million tower, Mercyhealth building a new campus along Interstate 90, and SwedishAmerican completing its $39 million cancer center and planning a new $130 million women’s and children’s tower at its Midtown campus. Publicly supported referenda are helping to renew Rockford’s public school buildings, including two new elementary schools. Rock Valley College, meanwhile, has invested in a health sciences center, which includes space for Saint Anthony College of Nursing, and a new aviation maintenance school next to AAR. Meanwhile, infrastructure improvements to the Morgan Street Bridge, Main Street corridor, and the West State Street corridor are impacting the transportation of people and goods. Downtown Rockford has undergone its own amazing transformation, in part thanks to a state tax credit that’s supported the renovation of numerous historical buildings into viable businesses and market-rate residences. Attractions like City Market and the UW Health Sports Factory make the River District an entertainment hub every weekend. A planned hotel/convention center at the former Ziock/Amerock building promises to further attract crowds downtown. Gary Anderson, principal of Gary W. Anderson Architects, estimates there’s been more than $538 million in public and private investment in downtown alone. Projects range from the $24 million Sports Factory and the $76 million planned hotel/convention center to renovations worth $1 or $2 million each. Compared with other communities of its size in Illinois, Schablaske believes Rockford is ahead of the pack. To learn more, visit TransformRockford.org. This entry was posted on Tuesday, September 12th, 2017 at 11:58 am	and is filed under Northwest Business Magazine. You can follow any responses to this entry through the RSS 2.0 feed. Both comments and pings are currently closed.